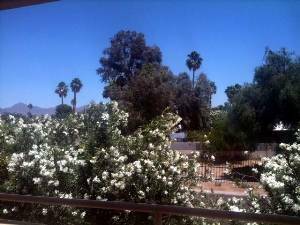 If you are looking for an updated, true two bedroom, two bath condo with full size laundry and garage in the heart of Gainey Ranch, this is it! 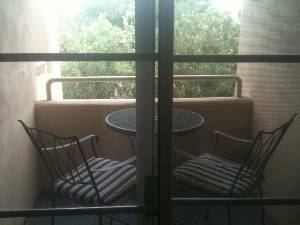 Securely located on the second floor (no upstairs neighbors), this END unit is located directly opposite the pool. However, as it faces the opposite North and West, it is not exposed to any of the potential pool noise. Situated adjacent to the development's low use access road means no rear neighbors and your view rolls for miles with peek-a-boo mountain views. 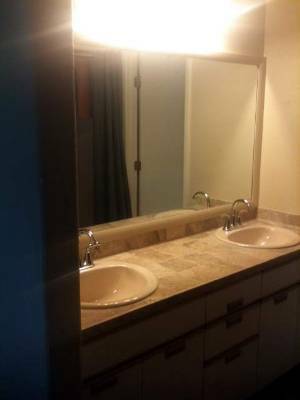 This recently painted, newly carpeted lightly used unit has only had two owners since new and has only been rented once. It features a Living Room with a fireplace and widows in two walls (approx. 12' by 18') and a door leading to an outside deck. The Dining Room is 10' by 11' and the sunlight "L" shaped Kitchen is 8' deep and 14' long. 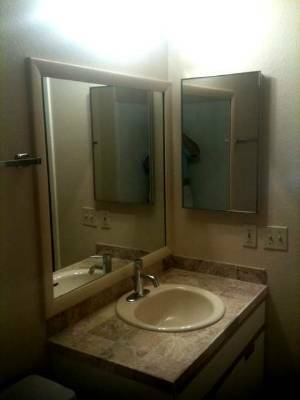 It features all new appliances, floor and countertops. Off the Kitchen is a full sized laundry and pantry. 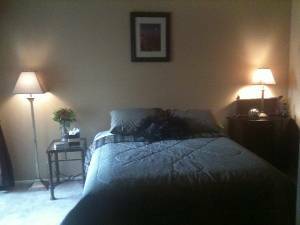 The Guest Bedroom (10' by 10") is off a hallway opposite a full guest bath with updated counters and fixtures and neutral beige and white tile. The Master Bedroom (12' by 13') has sliders leading to a private deck, updated dual vanity seperate from the soaking tub as well as a walk-in closet. Professional, local management available to assist in a carefree stay. 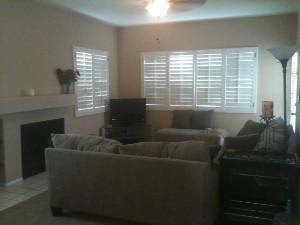 An annual lease option is also available. 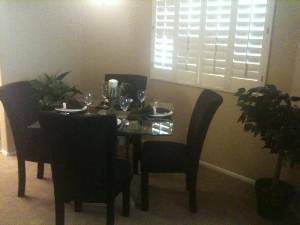 In addition, it is available for sale by owner at $234,900 furnished right done to the flatware! 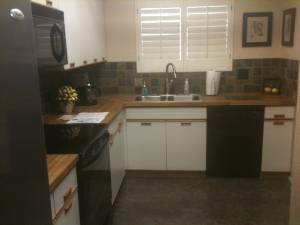 New flooring, appliances, countertops and sink. This is one of your three outdoor living options. Peak season rentals include utilities,annual and extended stay rates are available upon specific request.